Compass, formerly known as Urban Compass, received an investment today that brings the total amount of venture capital it raised to $210 million. The New York City-based real estate listings startup was infused with $75 million in a funding round led by Wellington Management Company LLP. The Series D comes nearly one year after the company’s $60 million Series C financing in September 2015 led by Institutional Venture Partners (IVP). The newly raised equity propels Compass to "unicorn" status, the title reserved for startups that reach $1 billion-plus valuations. So far, in 2016, the only other New York company to be classified in such a way is Sprinklr. The social management and analytics software provider unveiled news of its $105 million Series F via Sprinklr CEO Ragy Thomas' blog post. For Compass, IVP returned with three existing investors for the round announced today: New York-based Thrive Capital, Boston-based 406 Ventures and San Francisco-based Founders Fund. Last year, Compass was valued at $800 million. The summer before that, it was $360 million. With 24 offices nationwide, Compass touts roughly $7 billion in annual sales, a $3 billion-plus pipeline of listings, and the status of being the fourth largest brokerage firm in N.Y.C. Another highpoint for the three-year-old company is that it transacted what is believed to be the fifth largest residential sale in U.S. history. Compass, which claims to be the largest brokerage service in East Hampton, Long Island, mediated the $110 million deal of hedge funder Scott Bommer's Lily Pond Lane properties. Compass wants to continue its expansion plans. 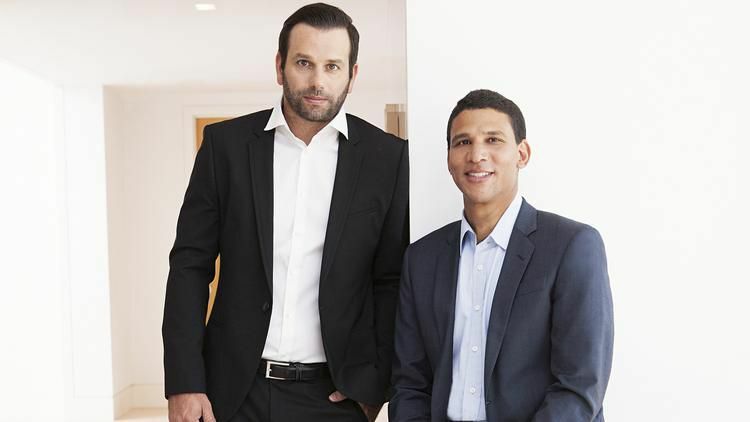 This funding, according to Compass founder and executive chair Ori Allon, will provide the company with additional resources so that it can grow into new markets and "inject transformative technology" to improve agent and customer experience. Earlier this year, Allon — who has sold two previous companies to Google and Twitter — launched "Compass Markets," an app that provides market reports in real time and up-to-the-minute housing data. The company also makes use of its Google-like map, which features pictures of the homes and the ability to create an itinerary to view apartments or homes directly through the app. Compass, which also acts as a broker and lumps in service fees for its agents, launched in New York in 2013. Since then, it has set up shop around the country — Washington DC, Miami, Boston, Beverly Hills, Malibu, Pasadena, Santa Barbara and Aspen, Colorado — with a San Francisco office arriving later this fall. It also plans to expand its celebrity division, which caters to the specific real estate needs of entertainers and professional athletes. Compass' main rival is Seattle-based Zillow, which has a habit of acquiring smaller, New York-based competitors. Earlier this year, it bought New York-based Naked Apartments for $13 million. And in 2013, it acquired New York listings site StreetEasy for $50 million in cash. Compass wouldn't disclose whether a deal with Zillow is possible at some point, but it noted that the two companies have a partnership. "Our listings are syndicated to their platform along with dozens of other sites to maximize exposure for our seller clients," a spokesperson said. Advance Publications Inc., the parent company of American City Business Journals and Condé Nast, is also an investor in Compass.